US/Washington & Canada/Ottawa: Black & Decker (US) Inc., a Towson, Maryland establishment, recalls an estimated 659,000 Black & Decker, Bostitch and Porter-Cable Hammer Drills and Drill Drivers due to possible component detachment and consequential risk of injury and laceration, all serious health and safety hazards. 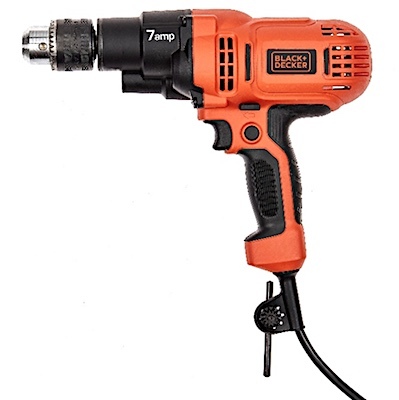 The US Consumer Product Safety Commission (“CPSC”) reports this recall involves certain side handles supplied with Black & Decker brand model DR560 1/2 Inch Drill/Drivers, Bostitch brand models BTE140 and BTE141 1/2 Inch Hammer Drills, and Porter-Cable brand model PC70THD 1/2 Inch VSR 2-Speed Hammer Drills. Please consult the photograph above for details of the product’s packaging, design and retail presentation. Additional images of the recalled Hammer Drills are pictured on the Web site above. According to the CPSC, the side handle sold with the recalled Hammer Drills can slip or break, leading to a loss of control of the tool, posing an injury hazard to the operator and to those nearby. Black & Decker has received eleven (11) reports of side handles slipping or breaking and one report of a torn rotator cuff injury. If you believe you have purchased or have in your possession any of the recalled Hammer Drills, please do not use them. Instead, kindly contact Black & Decker for a free replacement side handle. If you have any questions about this recall notification, please contact Black & Decker toll-free at 1-888-284-3070 from 8:00 AM to 5:00 PM, Eastern Standard Time, Monday to Friday. Alternatively, you can visit Black & Decker’s Web site at http://www.blackanddecker.com and click on the Safety Recalls link, Bostitch’s Web site at http://www.bostitch.com and click on the Safety Recalls link or Porter-Cable’s Web site at http://www.portercable.com and click on the Safety Notices and Recalls link, as applicable. ==> To see other recalls and notifications caused by suspected faulty and/or dangerous Hammer Drill, please search for “drill” using the Search Box at the top of this page. ==> To see other recalls and notifications relating to Injury hazards, please search for “injury” using the Search Box at the top of this page. ==> To see other recalls and notifications relating to Laceration hazards, please search for “laceration” using the Search Box at the top of this page. ==> To see other recalls and notifications relating to products made, marketed and/or sold by Black & Decker (US) Inc., please search for “Black & Decker” using the Search Box at the top of this page. ==> To see other recalls and notifications relating to products made, marketed and/or sold under the Bostitch brand, please search for “Bostitch” using the Search Box at the top of this page. ==> To see other recalls and notifications relating to products made, marketed and/or sold under the Porter-Cable brand, please search for “Porter-Cable” using the Search Box at the top of this page.